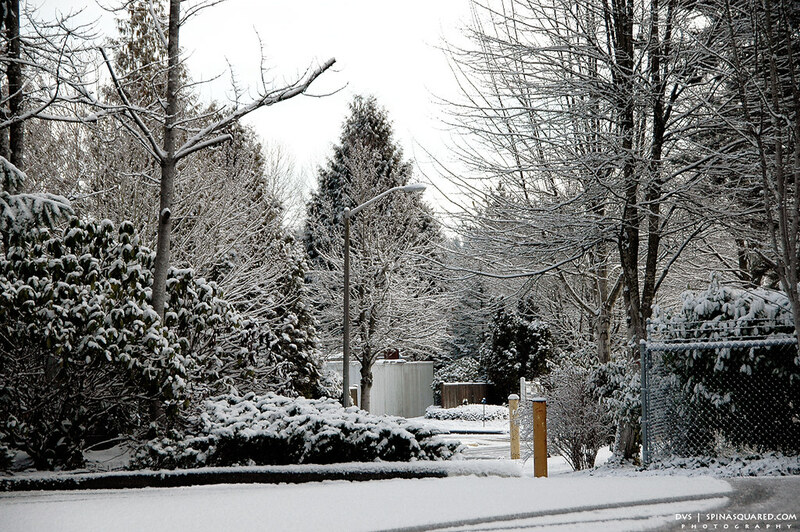 Record-breaking cold temperatures is what the Winter of 2010/2011 will be remembered for. It’s been almost 60-years since we’ve had temperatures dip down into single-digits in some areas around us and we’ve had a few consistent days of temps in the teens in our neighborhood. That said we are grateful we aren’t living in the Mid West or East Coast where they have been hit hard all Winter long with record amounts of snow and freezing temperatures! To be honest, the cold has kept us indoors most of the time, as we are both “tropical people”. But we didn’t let that stop us from getting out every now and then to capture parts of this cold Winter on camera. 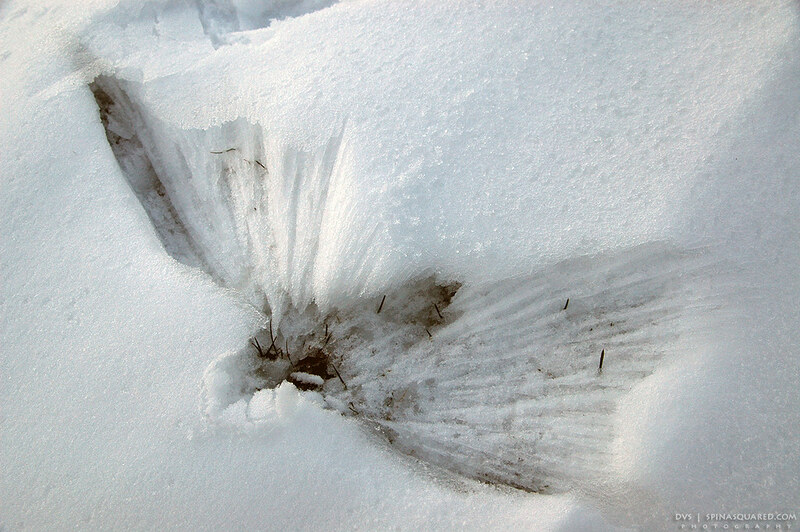 A rock was kicked over by a car and landed in an untouched, snow covered part of the sidewalk. The landing and splash left quite an impression. What does your mind tell you the image looks like? 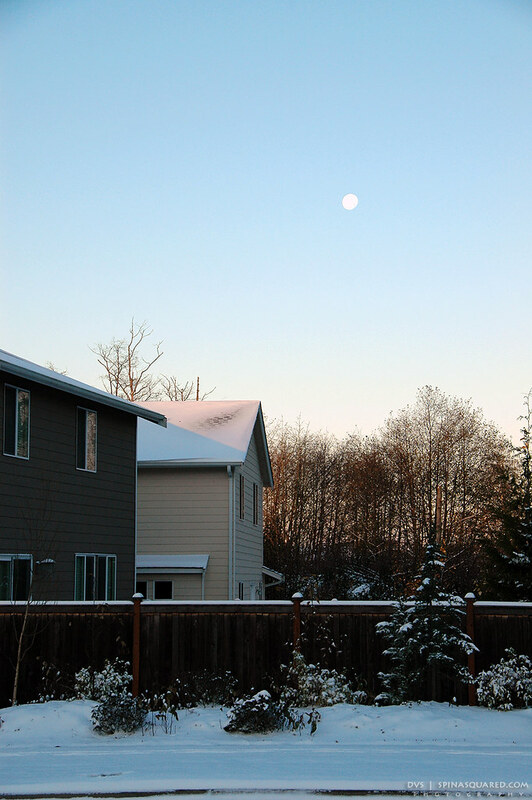 A quiet, frosted neighborhood with the moon looming far over head, clearly visible on this cold day. It’s snowing outside again as we post this, and forecasts call for continued snow showers mid-next week. Spring is a month away and this year it just feels like it can’t come any sooner. Stay warm (and safe) out there!! Beautiful. Tell me more, Spina Squared!